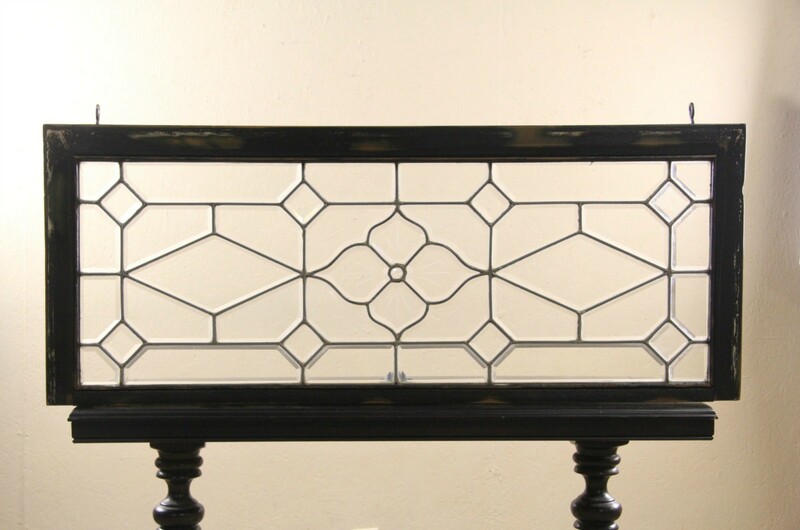 Every pane is beveled in this hand leaded glass window from the 1890's. The original pine frame has old worn black paint, preserved with a clear finish. American made, this antique is architectural salvage from an 1890's house. Measurements are 48" wide, 19" tall and 1 1/4" deep.